Whether you’re already addicted to playing dating simulations or you’re curious about the appeal of playing a dating simulation, simply continue reading to discover everything you need to know about Summertime Saga. In Summertime Saga, you’ll play as a college student, who is mourning the death of his father, who was murdered as a result of owing money to dangerous criminals. 1. Summertime Saga offers a cast of over 65 characters. Summertime Saga can be played multiple times as it features over 65 unique characters, which you’ll enjoy getting to know. One reason why you may want to replay Summertime Saga a second time, is that you may struggle to narrow down which character you want to date and may want to see how some of the storylines play out with multiple characters. 2. There are currently 30 different locations to explore. As it’s no fun taking all of your dates to the same venue, over and over, make sure to explore all 30 of the beautifully animated locations that Summertime Saga offers players. It’s a great idea to try and remember which locations each of your dates prefers as each character has a different personality and each character which you can date will have different preferences, when it comes to date locations. Some examples of some of the locations which are on offer include a beach, which features a quaint fishing pier, a classroom, a basketball court, a public swimming pool and a police station. You’ll even be able to take a date out for a ride on a boat. 3. You’ll be able to master over 20 different mini games. 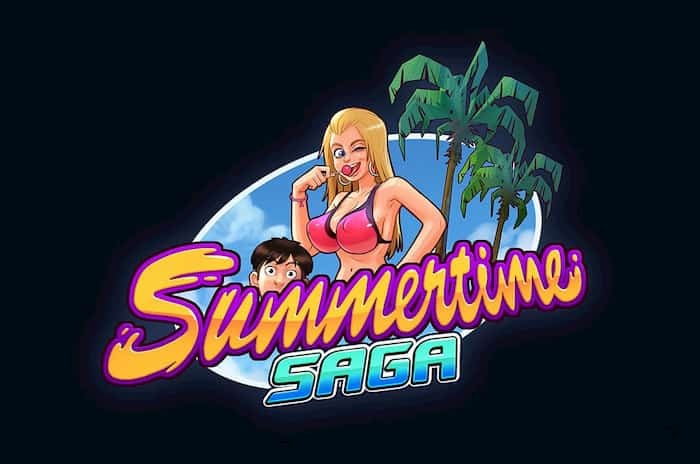 While you may spend the majority of your time playing Summertime Saga, building romantic relationships, if you get bored of smooth talking different dates, you’ll be able to kill some time by playing some of Summertime Saga’s epic mini games. 4. New content is added to Summertime Saga on a regular basis. Unlike some games which aren’t updated on a frequent basis, new content such as new characters, mini-games and date locations are added to the game every few weeks. While there are countless dating sims available to download onto your PC, Summertime Saga is unique as it offers a large variety of fetishes. That assure that no matter what types of fantasies you have, that you’ll be able to live out your wildest fetishes by playing Summertime Saga. As an example, if you’ve always wanted to date a naughty nurse or a flirty librarian, you’ll be able to do so, if you download Summertime Saga. Alternatively, if you get turned on by the idea of getting frisky in a public setting, you’ll also be able to live out your fantasy, by playing Summertime Saga. If you love the nostalgia of playing games which have retro inspired graphics, you’ll love Summertime Saga’s cool retro graphics. That have a 90s feel. So if you’d love to be able to live out your dating fantasies by playing a dating simulation, you can’t go wrong starting off with playing Summertime Saga. I hope you enjoyed this article, please rate and share. If you have problems running Summertime Saga on your desktop or any other issues, leave a comment below.